If the roof of your mobile home has started leaking, or is damaged by weather, you’re probably asking yourself whether you should have it patched or just bite the bullet and replace it. All Weather Roofing, Inc., your Lake County mobile home roofing company, specializes in mobile home repairs and roof overs. If the damage is minor, meaning that there are no little lakes on the floor of your Lake County Home (sorry, couldn’t resist!) and mold hasn’t taken over, patching could be an option. That way, you can enjoy a few more leak-free years before replacing. For significant problems, when your Lake County mobile home must have a roof over, you can count on All Weather Roofing, Inc. to assess the damage and help you decide what to do. Fix or Replace Your Mobile Home Roof? Eventually, a damaged roof will have to be replaced – patching is a temporary fix. Bear in mind that any amount of leaking is an early indicator of problems that will only get worse as time progresses. At some point, you will need to contact a Lake County mobile home roof over specialist. When that time comes, call All Weather Roofing, Inc. – the best mobile home roofing company in all of Tampa Bay. It goes without saying that if the roof damage is significant, you’re not going to have a choice – the roof will have to be replaced. Minor leaks can be patched, but eventually there will be new leaks that could lead to structural damage and risks to your health and safety. 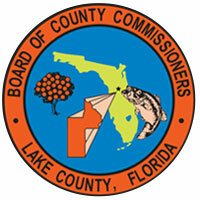 You can usually provide your Lake County mobile home with a roof over very cost-effectively. All Weather Roofing, Inc. uses TOP (thermoplastic poly olefin) for roof overs. This durable product is available in three patterns – the Stony Ridge or Sierra Vista shingle pattern, as well as the time-honored classic Non-Pattern White (still the standard for Lake County mobile home roof overs). TPO’s quality is backed by a lifetime transferable warranty. An additional benefit is TPO’s natural cooling properties – most mobile home owners will enjoy a 30% reduction in their AC costs. The combination of the best warranty in the business, long-term wear, and lower AC costs makes this the perfect way to handle your Lake County mobile home roof repair. All Weather Roofing, Inc. has been in business for over 3 decades, and you can rely on us to stay around for some time more. Since we started up in 1984, we’ve experienced significant growth, but we’ve always been family owned and operated. We enjoy the reputation of being the best home roofing company in the Tampa Bay area, and we have A+ Better Business Bureau rating to back up that claim. If your Lake County mobile home has to have roof repairs, we’ll be glad to send one of our trusted representatives to conduct a free video examination. We’ll identify the problem areas and let you know what we think should be done – we’ll never sell you anything you don’t need. You can see the actual damage on video, and then we can discuss the best way to correct the problem. Once you’ve made the decision to repair or replace, we can finish the work for you in a matter of a few days. Request a mobile home video inspection, or call us now at 1-800-297-3758. Our customer service team is there for you 24/7, to answer your questions and arrange for your free video inspection.